Smartphone managers/assistants are very important tool software that every PC user who also has a smartphone needs to install on his / her computer; they help to manage every aspect of a smartphone (iPhone or Android). In this IOTransfer 3 Review article, I will also share detailed explanations/manuals on how to use all the features of this tool. This will be a direct article that will also serve as a “How-To” guide for anyone who wants to use this software. IOTransfer 3 is an effective tool for transferring and managing iOS files, but also as a powerful online video downloader and converter. This is a great iPhone management software available to owners of Windows PCs. It is a freemium utility software with many useful add-ons such as – online video downloader, video converter function and others that will be added soon in iPhone transfer for apple. It offers a one-click solution to seamlessly transfer music, videos, photos, and contacts from a connected iOS device to a PC. It also helps you import, export and delete irrelevant or unused files such as Podcasts, iBooks, apps and voice memos on the “Manage” tab. 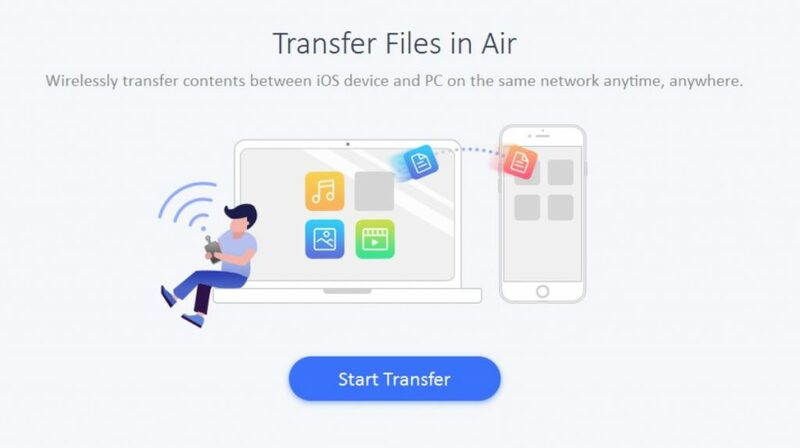 The advanced AIR TRANS feature uses WiFi Direct technology that allows you to quickly connect and transfer media files or other types of files between an iOS device and a computer system on the same local wireless network. Firstly, you should download the software from the official website of the company, or you just need to follow this link for a direct download – Download iOTransfer 3 iPhone Manager. After downloading the software, run the offline package for the installer and follow the instructions on the screen to install it correctly on your PC. When the installation is complete, start the software and connect your iOS device via USB. Authorize your PC to access your iOS device data. To do this, simply tap “Trust” in the pop-up window displayed on the connected iOS device. Now enter the password you used to protect your iPhone / iOS device and wait a few seconds for this software to read the device. Once this tool reads the connected iOS device, you can start managing the files/folders in it. this means that you can copy, delete, view, move and perform other actions on any file that you select. On the right side of the start screen, you can see how many files on your iOS device are divided into sections; Music, photos, videos, and contacts. You can transfer any file directly from here from your iOS device to your Windows PC; Simply click the “Transfer to PC” button and select the file you want to transfer. When you click the “Details” option on the iPhone sketch, you’ll see a waste of how your device storage is shared by your apps, media files, and so on. Here you also see the name of your iOS device serial number and build number, OS version, product type, and model number. Click the management option to access all files on your iOS and perform all supported actions for this tool. Here you can preview the images on your connected iPhone, delete an app from your iPhone, export the podcasts and voice memos on your iPhone to your computer, and also delete unwanted files, apps or folders. The options you need to manage your files are available at the top of the software window. You can also place your mouse on an item/file and right-click to view more available options. With the iOTransfer 3, you can clean up unwanted files and caches that take up a lot of space on your iPhone. Click the “Clean” option and then click the “Scan my iPhone” button. 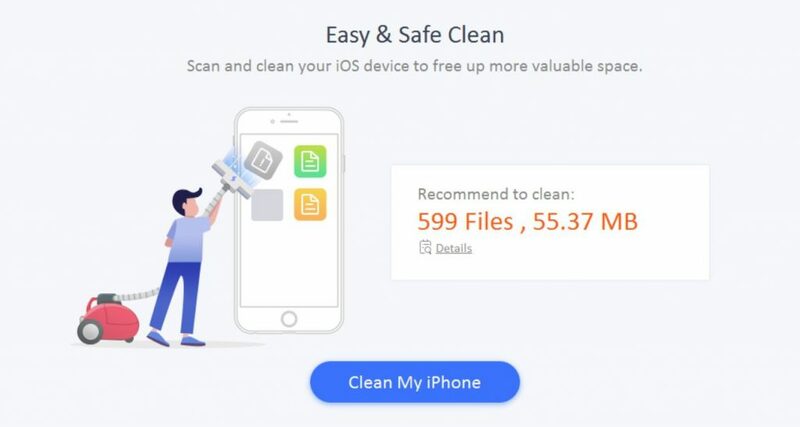 This tool analyzes your iPhone and shows the number of unwanted files/cache that needs to be removed, after which you should click the “Clean my iPhone” button before the removal process would start to keep your device free and save you some space for reasonable file/documents. With the video downloader converter from IOTransfer 3 you can download videos from online streaming websites such as YouTube, Facebook, Vimeo, VidMate etc. and convert them right away. To download online videos using this software; simple video URL of the hosted site and paste it in the space provided. Click the “download location” option to set a storage location for your downloaded and converted videos. This tool comes with a simple video converter that allows you to convert video files from one format to another. Supported formats include; MP3, MP4, WAV, AC3, M4a, FLAC, ACC, OGG, FLV, AVI, MPG, MVW, VOB, HEVC, 3GP, 3G2, etc. From my experience with smartphone assistants, I found that the IOtransfer 3 Pro was very simple and super intuitive to operate. It contains a lot of useful tools; the video download and converter tool is something I really liked because I often work with videos. It is indeed a good one that speaks from my experience. Let us hear your opinions and opinions about this software through the section below. The version we used for this review is only available to users of Windows PCs and is available for $24.99. We do not recommend the free/trial version of this tool, as it is limited to many goodies. How an Albury Man Overcame Adversity? What is the Right to Repair Movement?